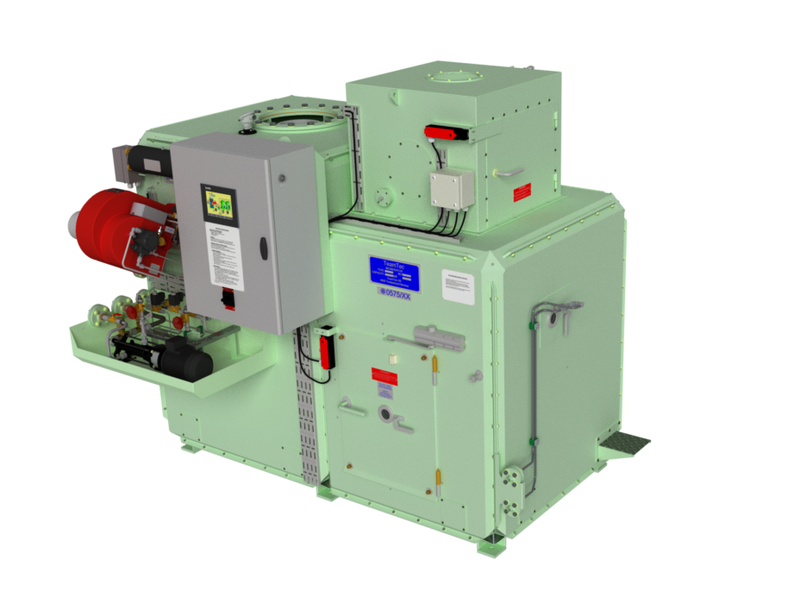 The GS500C is one of the most effective marine incinerators on the market today. The model is available with manual or automatic feeding of solid waste and full automatic sludge burning. We have this model in a series of versions, specialized for various needs. Two popular versions for all kind of vessels in the need of burning bigger amounts of sludge oil and solid waste, ideal for vessels with more than 60 men onboard. 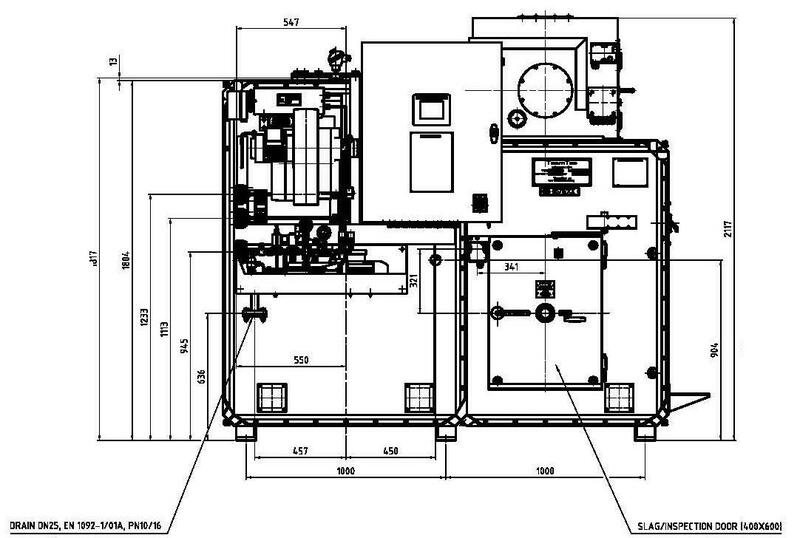 The GS500C has a thermal capacity of up to 731 000 kcal/h (850kW) and a IMO defined sludge oil capacity of 100 l/h. In addition the GS500CS version has a big top-mounted sluice for continuous feeding of solid waste, approximately 135 kg/h. Our “boosted” version of the version above, with an increased maximum capacity of approximately 800 000 kcal/h (930 kW). 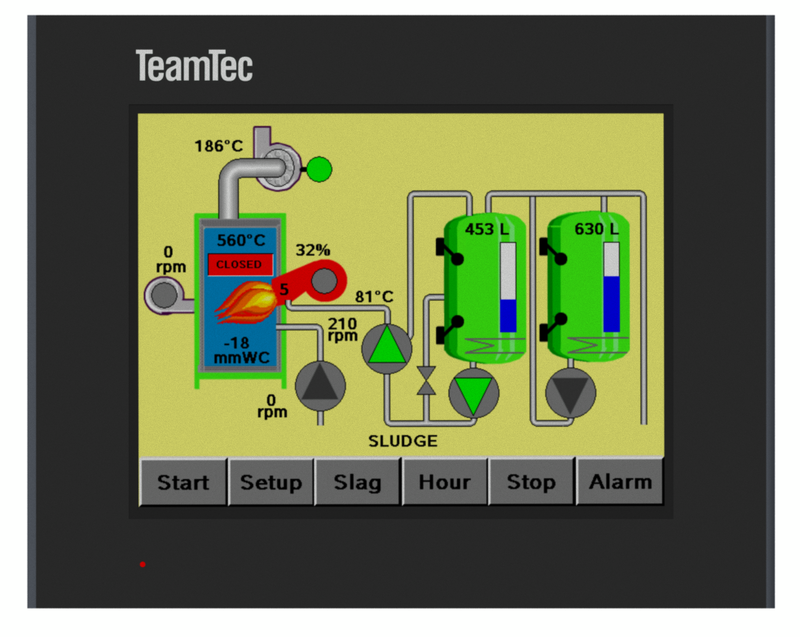 This version is mainly meant for sludge oil burning but batch loading of solid waste is possible (400 l/load). A specialized version for burning solid waste only. High capacity – 135 kg of waste an hour – continuous feeding through the big sluice. Offshore installation and all kind of barges, all with a big number of men onboard, they all love this version. The specialist for solid waste! A stirrer is included in the combustion chamber to increase the capacity up to 150 kg/h of solid waste. 600 men onboard? No problem. Our optimized solid waste processor – a combination of the version above and an automatic feeding system of the solid waste, plus a mechanical stirrer to move the waste around, as well as additional combustion air inlets. The whole unit consists of the GS500 incinerator with the integrated stirrer, a hopper, a shredder and a feeding screw to maximize the daily incineration of solid waste. These models are recommended for passenger vessels, smaller cruise liners and larger Navy Vessels.